Greg Hardy attempted to defend himself, explain his actions and restore his value in an interview aired on ESPN this week. But in the end, he failed. Miserably. Why? Because the former Cowboys’ defensive end just isn’t believable. He’s not apologetic. He’s not genuine. He’s not remorseful. He’s not insightful. He’s just sad. And, as NFL free agency rolls on without him getting a nibble, he might just be done. 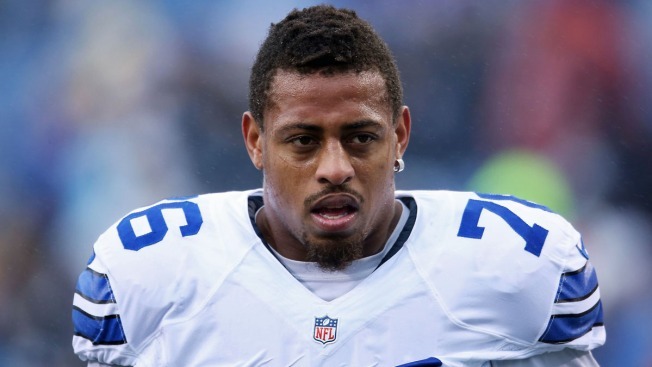 After one season in Dallas in which he made more news off the field than he did on it, Hardy became a free agent. While waiting on offers, he returned to school in Mississippi to finish his degree. Good for him. And the interview was, in theory, a good idea. Likely the brainchild of agent Drew Rosenhaus. But instead of honesty, perhaps played up with tears, what we got from Hardy was more cryptic non-speak about his domestic violence case and bizarre behavior that last year had him arguing with Dez Bryant and flirting with Tom Brady’s wife. If possible, Hardy’s sit-down with ESPN’s Adam Schefter did more harm than good. Instead of contrition, Hardy attempted to play the victim, saying he “still suffers repercussions” from the incident with his former girlfriend, Nicole Holder. Playing the victim? Just a horrible strategy. While admitting mistakes for his underwhelming season in Dallas, Hardy also blamed intense scrutiny. In part because of his failed interview, Hardy may have no choice but to disappear into the dark.